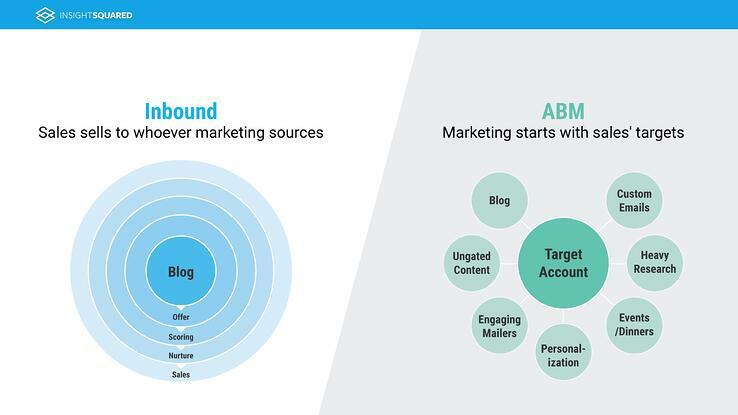 Account-based marketing (ABM) or inbound marketing, which way should you go? Well, actually that is the wrong question to ask. In fact, the two strategies complement each other rather well. With all the confusion surrounding account-based marketing and its somewhat complicated relationship with the inbound approach, we thought this explainer article was way overdue. 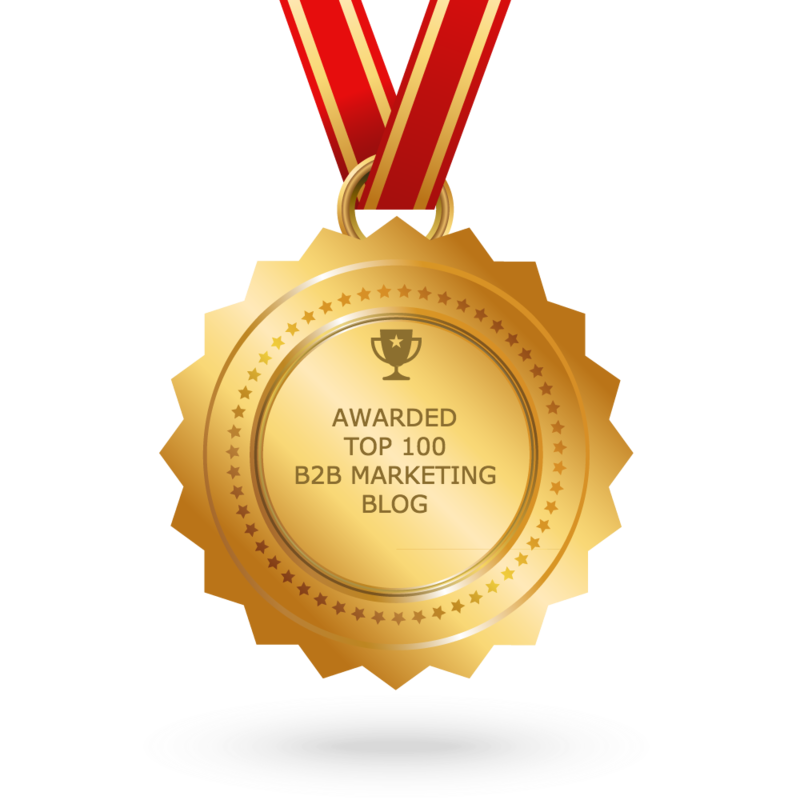 Traditional B2B marketing tends to take a broad approach to lead generation, with the goal of capturing as many leads as possible. 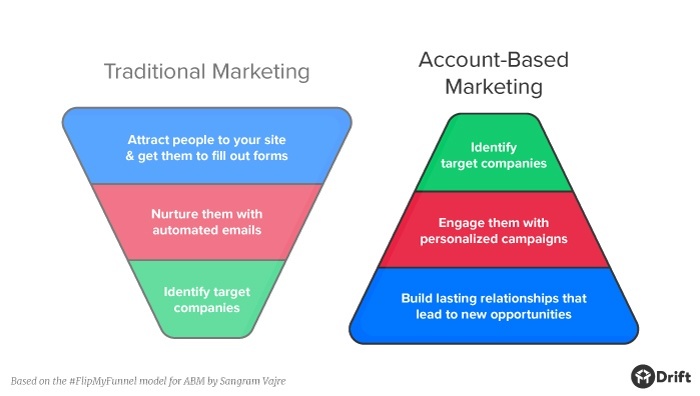 Conversely, ABM takes the traditional inbound marketing funnel and flips it on its head. “Specific accounts” is the key here. While inbound marketing casts a wide net to target as many prospects as possibles, ABM identifies an entire company as a valuable prospect, before pushing ultra-personalised communications on its employees. And these communications can be based on inbound strategy and content marketing as well as outbound paid campaigns. While ABM is not exactly a new concept in the B2B marketing community, it can be extremely effective at helping marketers create and sustain growth and profitability. ABM marketing strategies are ideally suited for B2B firms with long, complex sales cycles that often involve many stakeholders, and are typically high-value. Creating an ABM strategy for a product that costs 25$ a month and is suited to a wide audience may not be the right approach. Is your product niche, expensive and aimed at enterprises? Go with ABM. Personal and highly-optimized content offers - According to Aberdeen Consultants, 75% of customers prefer personalized offers. The average prospect is bombarded by thousands of marketing messages each day, and personalization has become a key way for marketers to break through the noise and boost conversions. Because ABM is implemented with the needs of a specific target prospect at a specific target account in mind, it involves high degree of fine-tuning so that your content resonates with key decision makers at a specific account, making them more likely to engage. Clearly defined ROI - Effective ABM drives clear business results. According to the 2014 ITSMA Account-Based Marketing Survey, ABM delivers the highest ROI of any B2B marketing strategy or tactic. It’s incredibly precise, highly-targeted, personalized, and accurate compared to general inbound/outbound strategies - making it much easier for marketers to measure ROI. Efficient Use of Resources - By scaling ABM marketing strategies, B2B marketers can do more with less. Because ABM is so targeted, it allows marketers to focus their resources effectively, and run marketing programs that are specifically optimized for target accounts. Align Sales and Marketing - ABM is also one of the most efficient ways to align sales and marketing, helping to unite teams instead of divide them. Marketers have to work closely together with salespeople in order to accurately identify target accounts, map them out, and align on sales initiatives. Enhanced goal-setting and analytics - It’s easier to analyze the effectiveness of ABM campaigns, as you’re looking at a smaller set of target accounts (instead of a vast set of metrics). Not just that, but you also have well-drawn battle plans/strategies for each account, which allows you to effectively compare end-of-quarter results to forecast goals. It’s highly personalized - While regular content is “shallow and wide”, ABM content is “narrow and deep”. It focuses on using relevance and personalization for a specific target company to provide value through highly-customized marketing content. It focuses on accounts - ABM content works best when it’s personalized for a select group of target accounts, with a customized experience for each. You’ll want to show that you understand each of your target’s needs - but don’t overdo it. Use A/B testing to help determine the level of personalization that your targets will respond to the most. 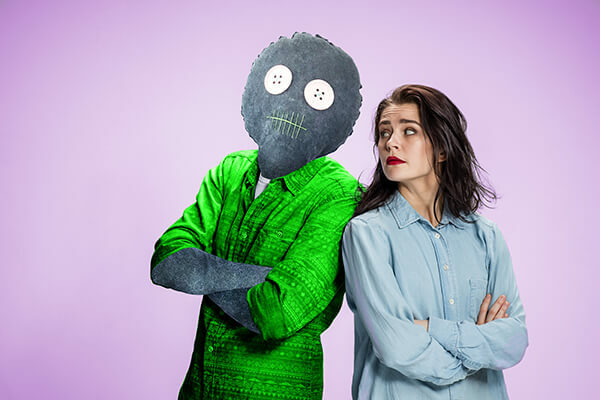 One-on-One - ABM campaigns are about making one-on-one human connections, despite the impersonal barriers of business. To reach your audience, you’ll need to craft the content that you yourself would want to engage with. Content marketing starts with sales’ targets in mind - ABM is flipping traditional approach to content marketing on its head. Instead of creating a content offer and then hoping that “there is plenty of fish in the sea”, ABM focused content starts with a question “What content will this specific account respond to?”. The first step, obviously, is identifying your target accounts. This should be a collaborative effort between marketing and sales, as you’ll need a mix of firmographic data and business intelligence to help you discover, define and prioritize your high-value accounts. You’ll also need to consider revenue potential, along with other strategic factors such as market influence, or potential for higher-than-average profit margins. This step covers planning and preparation - where you map accounts and pinpoint key internal players. Identify how your target accounts are structured, how decisions are made and who the decision makers and influencers are, and then come up with marketing plans to help you achieve specific objectives. Now that you know who your key players are within each account, you can start creating quality, compelling content that’s just for them. Think about how your messaging can address each target account’s specific needs and business challenges, while also resonating with them and creating engagement. In this step, it’s time to choose your channels. You may have the best content in the world, but none of it will be effective if you don’t use the right channels to promote it. As generally with inbound tactics, it’s important to know where your target audience “lives” online. This will give you insight on which communication channels would be most effective in helping you reach out to them. At this point, you’ve selected your targets, created captivating and customized content for them and determined the best way to communicate. It’s time to execute! However, running your organic and paid campaigns will require some care. It’s critical to ensure your messaging is coordinated across channels, and that the sales and marketing teams’ efforts are fully aligned for maximum impact. After each campaign, as always, remember to test, measure and optimize. That’s the only way to ensure that your campaigns are effective, and improve your results over time. Run descriptive analytics based on account level activity, and use the data this provides for a more accurate picture of your overall ABM campaign performance. ABM: The Future of B2B Marketing? For B2B marketers, ABM offers both limitless possibilities and proven results. Thanks to improvements in technology, it’s now possible to coordinate and execute ABM campaigns with much greater scale and efficiency than ever before. However, as with any marketing campaign, ABM requires a solid understanding of the approach and its execution and optimization. Done effectively, it can be a valuable marketing strategy, easily increasing the number of qualified leads.